Platt puts his finger squarely on the biggest problem facing the American Church today–Consumer Christianity. Not only is there little distinction, morally, between the lives of self-identified Christians and self-identified nonChristians, there is also little difference between the way churchgoers approach Church and the way they approach grocery shopping. Consumerism, not discipleship, has become the world-defining belief of American Christianity. For Platt, this is most evident in the self-centeredness with which many Christians understand salvation. 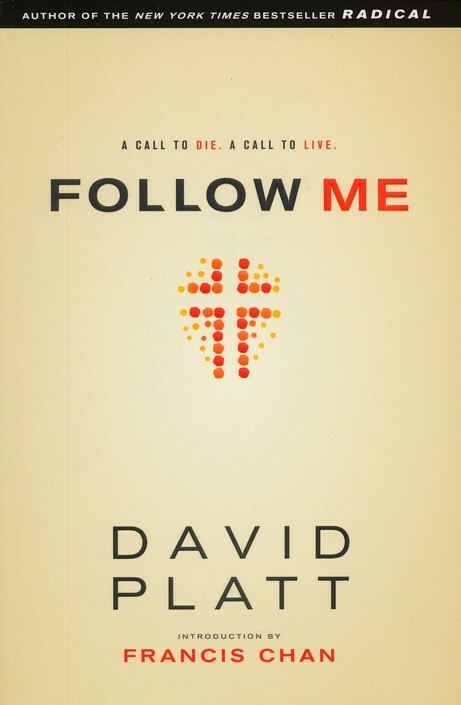 If I were to sum up the core of Platt’s book, I would say it like this: Follow Jesus into his mission to save lost souls. 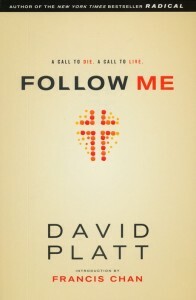 As we saw in his best-seller Radical, David Platt’s heart is directed toward taking the Gospel to all nations. The antidote to Consumer Christianity is Missional Discipleship, i.e., participating in the fulfillment of the Great Commission. This, in my opinion, is where the book excels because it is the way in which it most clearly reflects the calling of its author. David Platt has an apostolic heart, and the Church would do well to heed his call to move from lazy, superficial religion to missional, supernatural regeneration by proclaiming the Gospel to the ends of the earth. God is solely responsible for the initiation of salvation. Human beings are completely sinful, so much so that we are characterized as being “dead” in our sins. God hates, even abhors, sinners. In principle, I agree with the first statement. God is solely responsible for the initiation of salvation, though I would say that happened on the cross and in the empty tomb of Jesus. Only God could do that! From there, God has charged his followers with the proclamation of this news, this Gospel, to everybody else on the face of the earth. In other words, God has placed the message of salvation into human hands. While God did everything to make salvation possible, he has commissioned us to make that salvation available. Furthermore, Jesus tells parables in the Gospels that seem to give another side to the story. For example, in Matthew 13:44, Jesus says this, “The kingdom of heaven is like treasure hidden in a field. When a man found it, he hid it again, and then in his joy went and sold all he had and bought that field.” The active agent in this story is not God or his kingdom, but the human being who found salvation, then gave up everything he had to gain it. It’s important to point out that they were not, in fact, completely dead, for if they were, it would have been too late for them, and they would not have been alive to hear the proclamation of the Gospel or respond to it in faith. I’m not trying to be a smart aleck, I just want to point out that Paul’s use of “dead” is metaphorical, not literal. Nor was Paul saying that the Ephesians were “spiritually dead.” Paul would not have separated the spiritual life from the physical life, saying that one could be dead while the other was alive; this was an invention of the Gnostics. The view of humanity painted here by Platt, and elsewhere by other Reformed writers, is simply inaccurate. It assumes that the truest thing about humans is Genesis 3. Platt sums up this view well with this statement: “As we have already seen all the way back in Genesis, our sin is not something that exists outside of us. Sin is ingrained into the core of our being. We don’t just sin; we exist as sinners.” (42-3) The trouble with this statement is that Platt doesn’t go back far enough into Genesis. Before there was a Genesis 3, there was a Genesis 1 and 2, in which humanity is called, by God, good. To be sure, Genesis 3 is all-too-true now–we are sinful creatures–but there will come a day when that will not be true no longer. Genesis 3 is temporary. Genesis 1 and 2 are eternal. The creative act of God is more powerful and more enduring than the destructive acts of Satan and human beings. In order to understand humanity, we must seek to grasp the tension of the present situation–not simply that Genesis 1, 2, and 3 are all true right now, but also that the Gospels, and particularly the Gospel, are also true right now. We were made by God in the image of God. We were not created sinful. That came through our choice to worship ourselves and disobey God. So we became broken. Then God did the impossible–without becoming sinful, he, too, became broken so that we might be put back together again. Why did he do this? Because he loves us. Which brings me to my final, and most vehement point of disagreement with Platt: God does not hate sinners. Everything about Jesus should drive this thought away from our hearts and minds. If Jesus is the perfect image of the invisible God, if Jesus is the logos of God, if Jesus does only what he sees his Father doing, then there should be no doubt in our minds, even if we only consider the cross, that God does not hate us, but that he loves so lavishly that he would withhold nothing from us! If you need biblical proof that God does not hate sinners, this is it: Jesus!